I am a Los Altos neighbor, voter and taxpayer and I VOTED NO on Measure A. 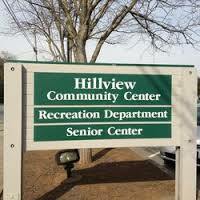 The proposal for Hillview Community Center and Park (with multi-pool aquatic center) lost my support because it was too big, too expensive, did not meet community priorities, and was not sized or scoped for Los Altos residents and the community. It lacked details on financials, green space, plans, usage and operational costs. I urge you to direct resources to a new plan that specifies usage, space and true costs for a right-sized, fiscally responsible Community Center and Parks that better meets community priorities, needs and budget. In addition, the plan should address land use (parks versus hardscape/buildings), village character, financing, operating costs, current facility utilization, EIR impacts, traffic and interdependencies of other civic facilities, community gathering spaces and Parks. And build in an understanding of the expected usage and true costs for residents and the families of Los Altos---from North to South. ​(OPTIONAL) SIGN UP TO BE A MEMBER ON OTHER ISSUES TOO. Sign and Receive Email updates on this Neighbor Initiative : Community Center and Park / Civic Property Sign and Join our Neighbor Network plus QTRLY Newletter: All Initiatives and More Sign Only: Use my name and street name only on THIS Letter to the City, but do not add my contact info to any future communication Contact Me: I'm interested in volunteering or participating in a leadership role.